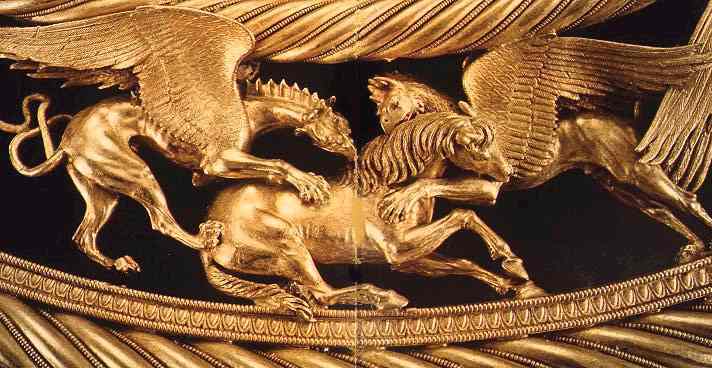 What are the Scythian Gold Griffins? This is an example of Scythian Gold excavated from an earth mound outside the town of Ordzhonikidze in the southern Ukraine. We can consider this to the Bum Biter art that we see in Persian Carpets.